That looks really great! 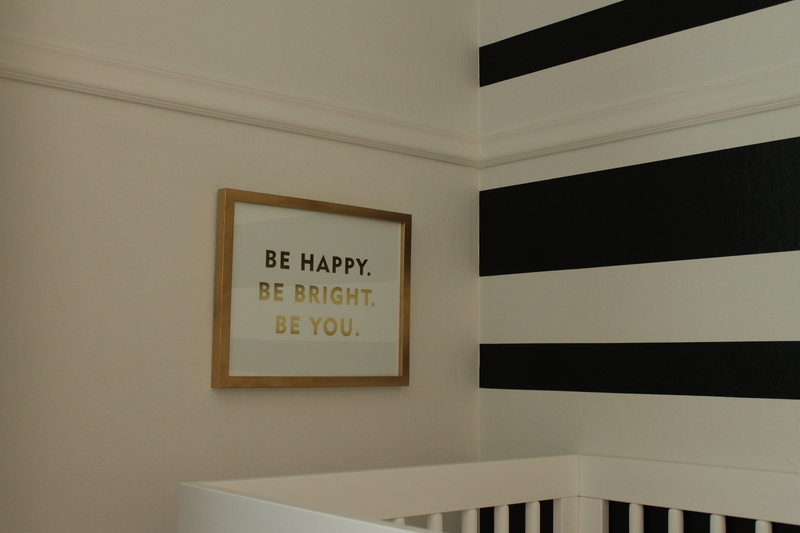 I love that it is so sophisticated but not inappropriate for a baby’s room. Wait: you just eyeballed the stripes for straightness? I can get on board with this. 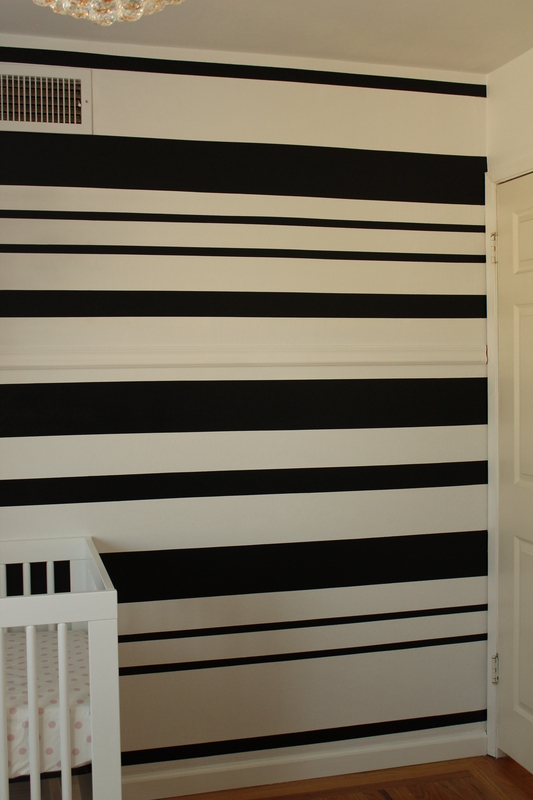 I’ve been wanting to paint horizontal stripes in my entry and back hallways but hate the whole level action. Yay! Beth, no no we didn’t eyeball it! 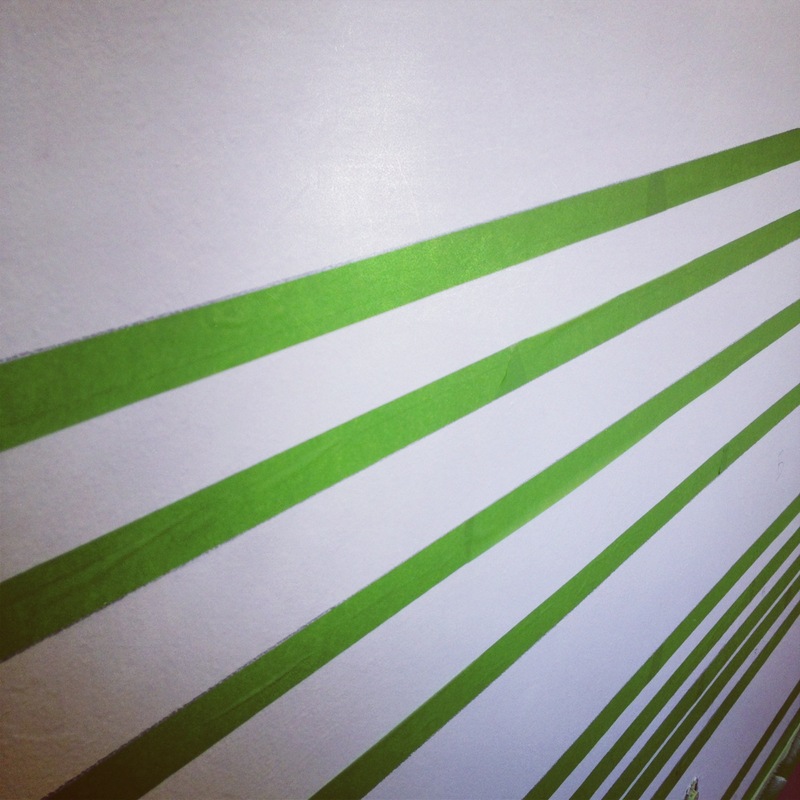 We measured and made marks across the wall. 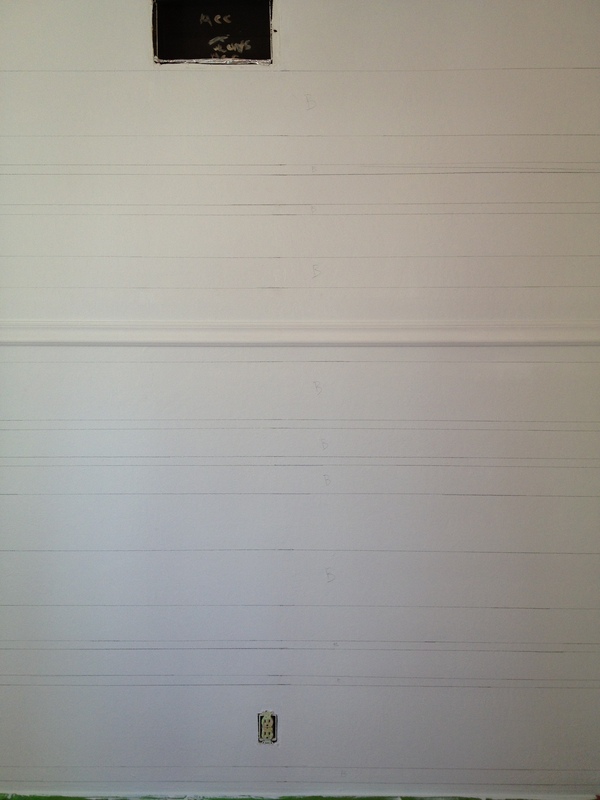 Then used a big long plastic piece from our blinds and made the lines that way. Definitely do not eye ball your lines lol! I still can’t get over how good it came out and how creative you are! You always blow me away each time! Silly me for doubting this design concept at first. So amazing girl! I love how it turned out. Such a good DIY post too, very informative. 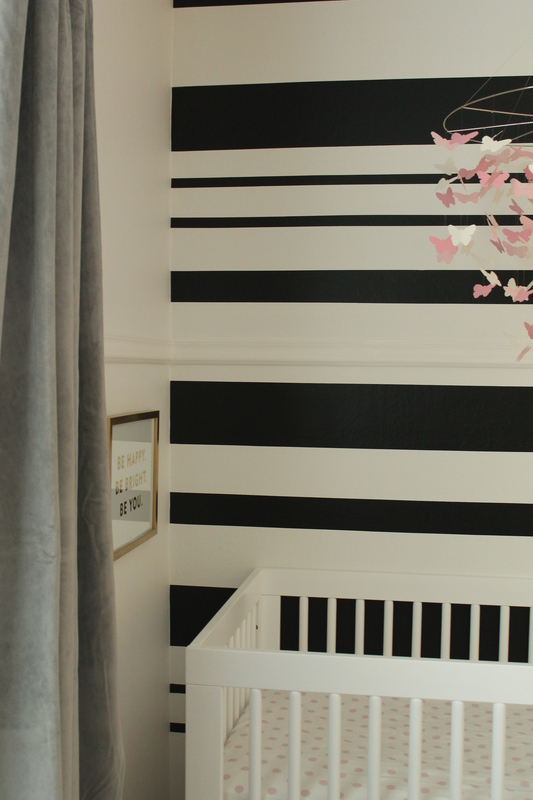 love the stripes and accent gray curtains! Looks so clean and sophisticated =) Where did you get the curtains? You look so cute preggo! Im due with my first one late April too! Just like you Im a belly sleeper but Im using the snoogle pillow and it helps me a lot with back pain and leg cramps at night. Love Overstock! Are the curtains velvet? or silk? Thank you! Are you having a boy or girl?? I think I’ll pick up the snoogle pillow this weekend. A lot of people have told me about it and how great it works. My hips ache so bad at night the overstock curtains are velvet. Looks awesome! I cracked up when I looked at your Pinterest board. I have a faux deer head on mine too! Everyone thinks I am nuts! Hahaa that’s so awesome, my husband thinks I’m crazy too “Babe why do you want a deer head in a girl’s nursery? ?” They just don’t get it! This is gorgeous and your tips seem really detailed and great! Thanks! Wow, does that pop! I like it, its creative and very alive. It looks so amazing and adds to the room tremendously. Great article, I guess strips are the way to go. Wow, you are so talented! 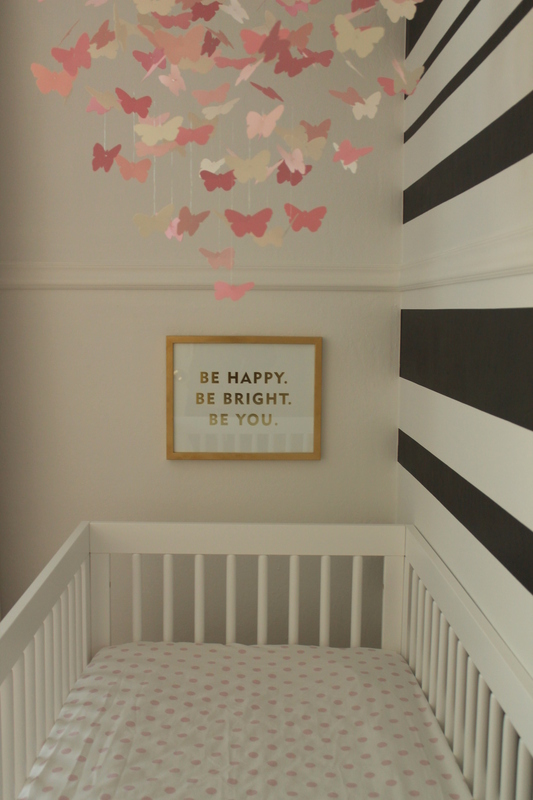 Do you mind sharing where the butterfly mobile is from?? Love that too! Thanks! 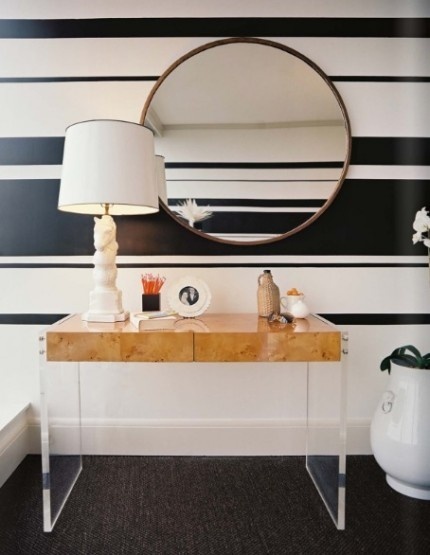 Pingback: 25 Super Stylish Accent Walls You Can Create On Your Own! 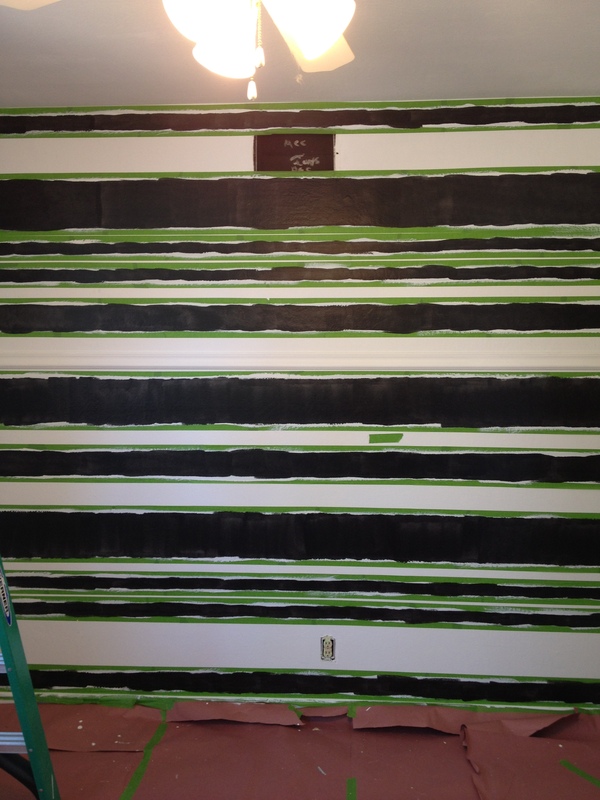 Pingback: Awesome Accent Walls You Can Create On Your Own!